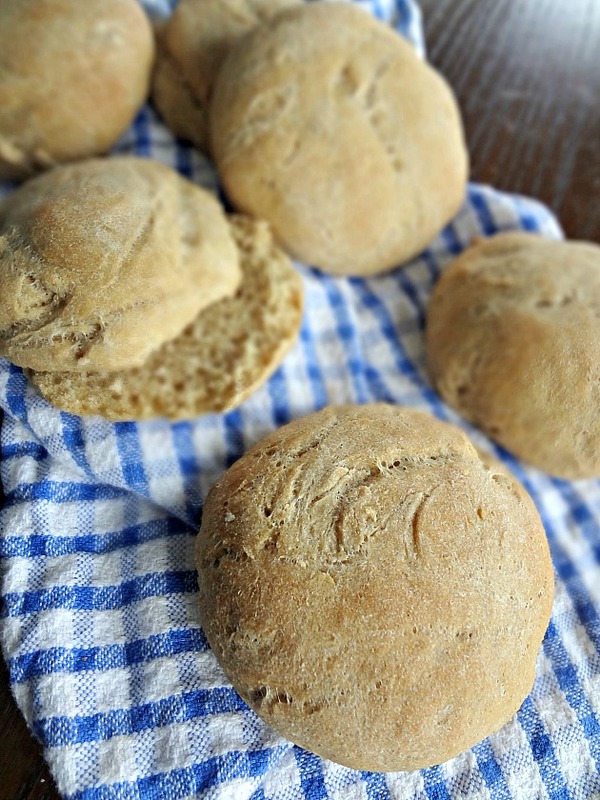 I'm going to start off by saying...mmm...these aren't the bestest burger buns. They're delicious bread and they'll work as buns but Michael will attest that they're not very...bun-like. If that makes sense? But he's picky. I know I'd love to eat a sammie on these, and I think you should consider them! In the scheme of bread recipes, this is pretty standard-not terribly difficult, and not too much rise time. The whole thing should take less than 3 hours. 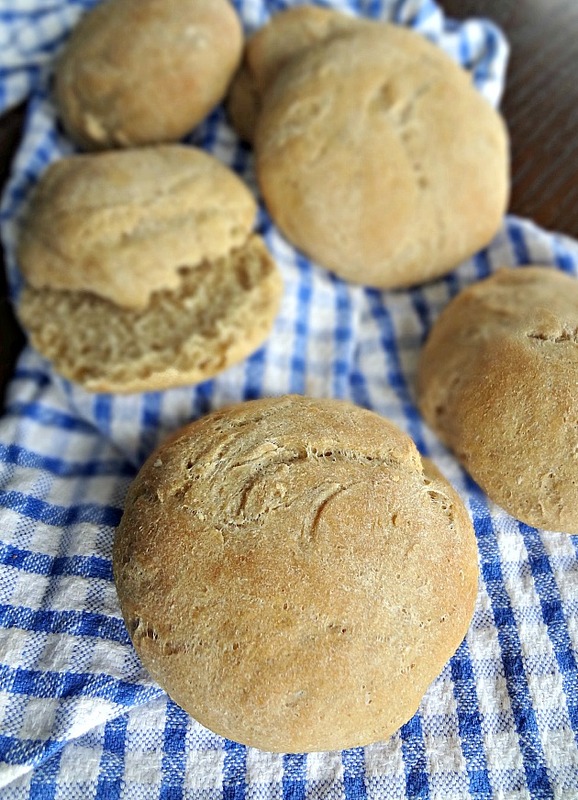 And the rolls are lovely and have a nice balance of whole wheat flavor, without being overwhelming, and a perfect, chewy texture. I want to hear from the masses--what do you think? Would you want to serve your burgers on these buns? If you make them, tell me what you think! 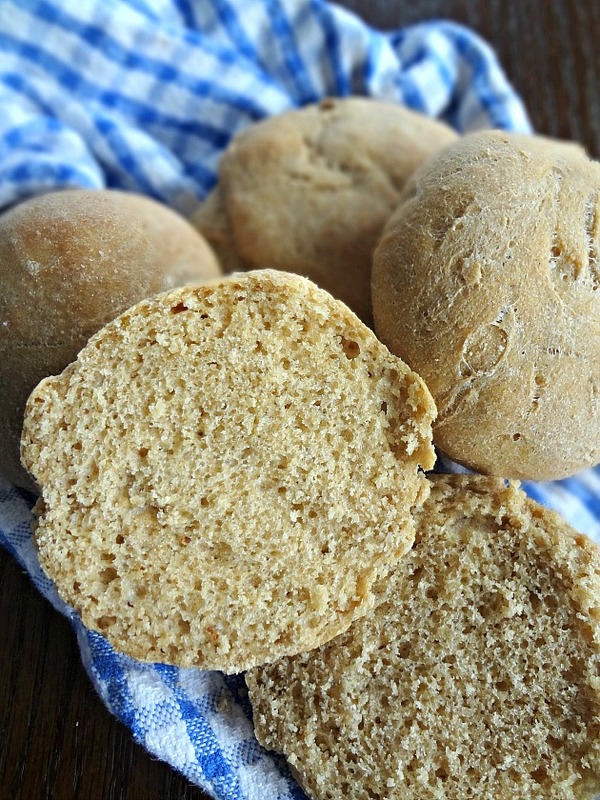 From Whole and Heavenly's "Homemade Whole-Wheat Hamburger Buns"
In the bowl of a stand mixer (or just a large bowl) dissolve the yeast in the warm water. Let stand for 5 minutes. Stir milk, oil, honey, egg, and salt into the yeast mixture until combined. Add 4 cups flour and mix on medium speed with the dough hook attachment until a dough forms. Continue mixing until dough pulls away from sides (add more flour if needed, I didn't need any). If not using a hand mixer, stir until a dough forms with a large spoon and then you can use your hands. Turn dough onto a floured surface and gently knead until smooth and elastic. Place dough in a greased bowl, turning once to grease top. Cover lightly with a towel and let rise in a warm place for 1- 1 and 1/2 hours, or until doubled. Punch risen dough down and divide into 12 equal pieces. Shape each piece into the shape of a bun and and place on parchment paper-lined baking sheets, leaving about 4 inches of space between each bun. Cover buns with a towel or plastic wrap and let rise about 20 minutes, until puffy. Remove towel or plastic wrap and slightly flatten, if they've become too tall. Cover again and let rise for another 30 minutes, until doubled in size. Preheat oven to 375F degrees while the buns finish rising. Once the buns are finished rising and the oven is finished preheating, bake 18-20 minutes, until golden brown. Cool on a wire cooling rack. 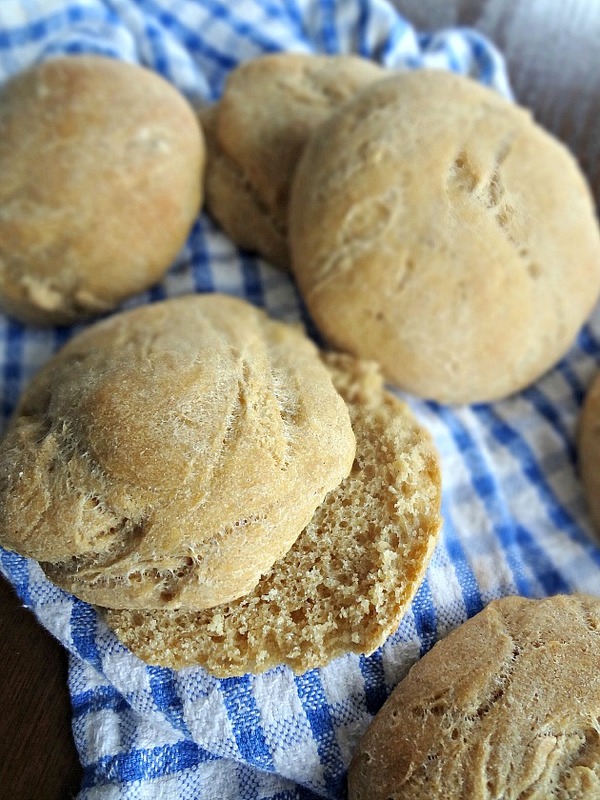 Store buns in an airtight container at room temperature for up to 3 days. Buns may also be frozen up to 2 months.